Real estate property management can be extremely challenging from a communications standpoint, especially for those companies that manage numerous properties scattered over a wide geographic area. The needs of property owners, tenants, and an exceptionally mobile workforce must be balanced. When one of Management Services Corporation of Charlottesville’s offices was using a communications system that employees were unable to make significant necessary changes to themselves, they turned to Star2Star for help. 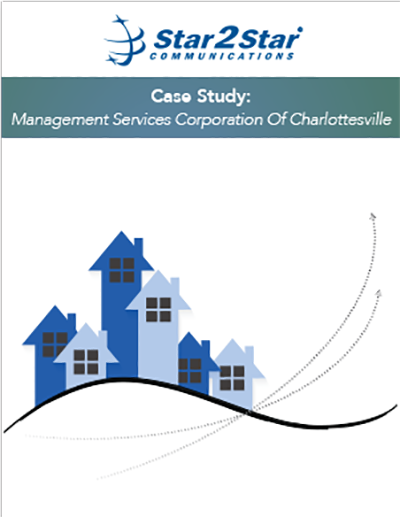 Read more to discover how Star2Star was able to provide Management Services Corporation of Charlottesville with a more easily modifiable system that expanded their communications capabilities.